Joe Colombo‘s first project for Oluce, the only one worked on together with his brother Gianni. From then on, the two Colombo brothers clearly separated their fields: Joe left art in which he had shown interesting promise with “Nucleari”, while Gianni no longer worked in design, becoming one of the leading exponents of the kinetic, programmed movement. 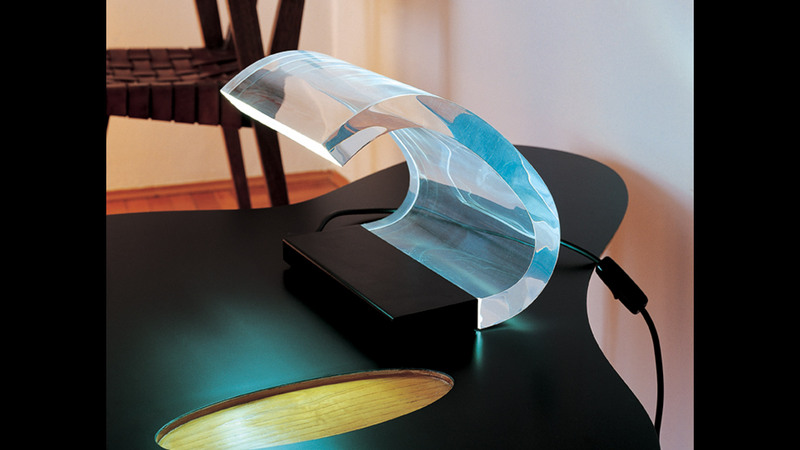 The 281 model, created in 1962, was immediately nicknamed “Acrilica” due to its surprising conspicuousness and exception innovation of the significant curve made from acrylic. 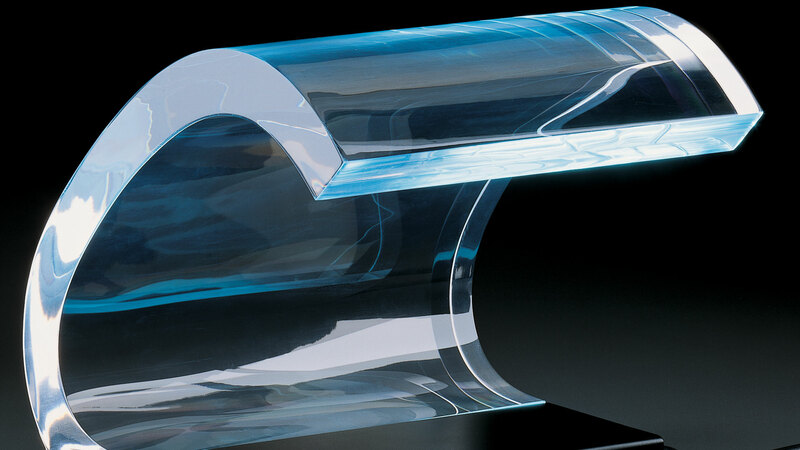 Methacrylate, used for about a decade in the field of lighting, usually in thin sheets that are cut or thermoformed, found a very particular use here: its thickness and curve meant that, thanks to its conduction properties, the light from a fluorescent lamp contained within the painted steel base moved through the transparent body, eventually lighting the head in an incredible way. Due to this “magical movement”, “281” is more a work of kinetic art than a lamp. In 1964, “Acrilica” won the gold medal at the XIII Triennial in Milan. 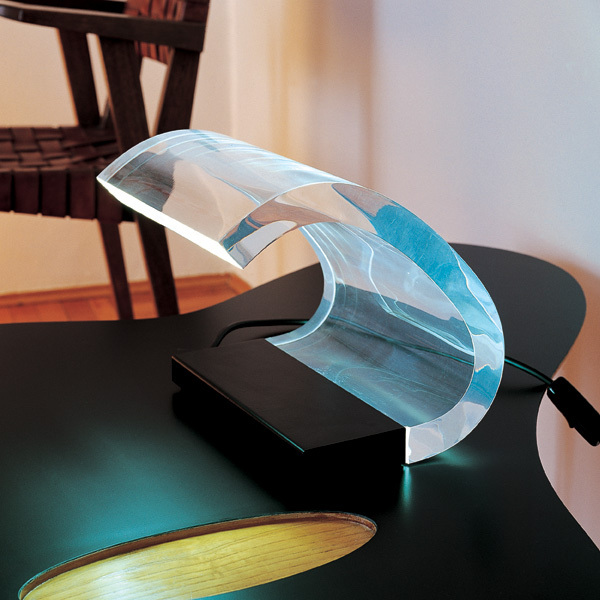 Table lamp giving indirect and diffused light, laquered steel base and Perspex diffuser.